Certain foods go with specific events. Baseball goes with hot dogs, laulau is a must at a luau. Fall craft show concessionaires will make a killing with soup, roll and a slice of pie. Let’s look at some event and put together the main concession items by occasion and season. If you can be a concessionaire at the Little League ball park, you will make money on your food. 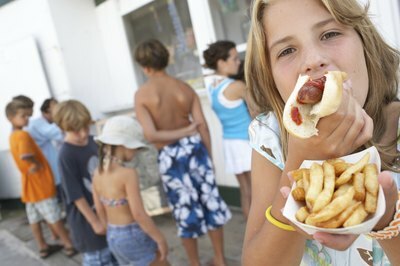 Hot dogs, hamburgers, ice creams and Popsicles, plus an assortment of canned sodas and water will fly off the shelf. Keep big pots of coffee brewing for parents. Small packages of chips and cookies are teasers and need to be at eye level for purchasing. A bowl of freshly washed apples and oranges on the counter will tempt parents to choose a healthy bite instead of letting their children eat sugary snacks. People are in for the long browse during craft shows. They take lots of time to consider the different booths. They will enjoy sitting down to a bowl of soup and a roll. Offer one hearty creamed potato and corn, minestrone and perhaps a third spicy taco soup. Each bowl gets a hard roll and a pat of butter. The meal is so healthy that your customers can easily justify a slice of pie purchased from a store like Costco. Beverages are important, coffee a necessity for vendors and visitors alike, and always have lots of chilled water. This is when ethnic food is a must. Be sure you have a liquor dispensing license and then pack in the beer. Beer calls for salty snack foods. Meat is the next big selling item at this concession. Polish sausages in thick buns, quarters of rotisserie chicken and turkey legs are the kind of meaty fare that is essentially Oktoberfest. 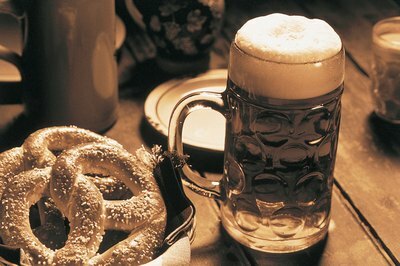 Keep a good supply of chips and cookies as well as nonalcoholic beverages, but it’s generally a day of beer and brats. Oddities in the food world are big sellers. 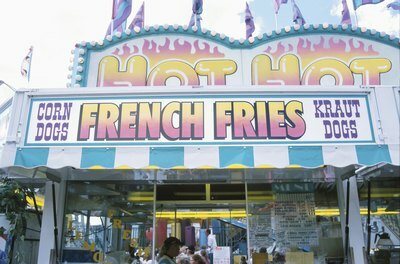 Fair concessionaires usually feature one product and beverages. Scones with raspberry jam, fried Twinkies, elephant ears, garlic fries, cones of cotton candy, even fried pickles and fresh-squeezed lemonade vie with gigantic pretzels and ice cream cones. Grilled ears of corn are popular. Latch on to one of these big sellers or simply feature hot dogs and hamburgers. 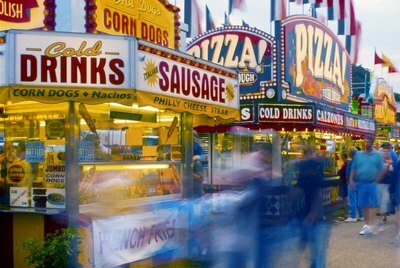 The name of the game is to eat as much of everything anyone is selling, so you can’t lose if you get to be fair concessionaires. 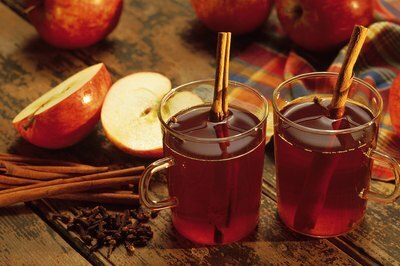 Spiced cider and a cone of nuts are great walking-around treats during the holidays. Whether the crowd is looking to choose a Christmas tree or are walking around an outdoor holiday display of lights, anything that is warm, smells enticing and doesn’t need a table and chairs to be able to consume will do well. Popcorn and peppermint sticks in mugs of hot chocolate are simple and inviting.